Liverpool manager, Jurgen Klopp has praised Mohamed Salah’s goal against Chelsea and called it brilliant. The Egyptian doubled Liverpool’s tally two minutes after Mane opened the scoring. Cutting in from the right hand side, the 26-year old unleashed a shot that curled beyond Chelsea goalkeeper, Kepa Arrizabalaga. Speaking on the goal, Klopp said: “I had the best view. I saw earlier than most people that it would go in. What a finish, what a shot. But the whole move around it. Wow, brilliant! “In the first half we played against the wind, in the second half we had the wind at our backs. So we used that obviously. “Then at 2-0 up, there was a little system change from the opponent, with Hazard moving to the left and [Gonzalo] Higuain upfront. 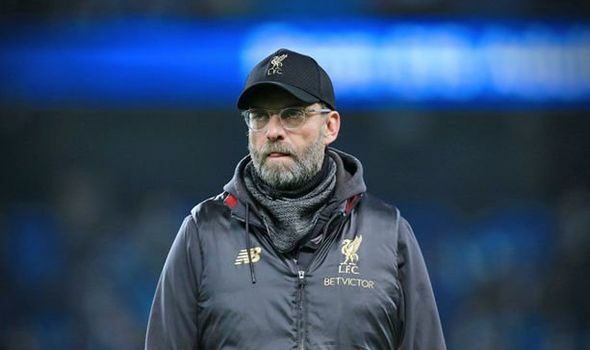 Klopp is hoping the victory over Maurizio Sarri’s side will help the Anfield club build some momentum as they look to keep the pressure on Manchester City. “What a team, what a stadium, what an atmosphere. I’m so thankful I can be a part of this, it’s great. It’s just outstanding, very overwhelming at times.’ He added. “Well done, really well done, now let’s prepare for Porto, Cardiff and whatever comes. “The first question in the meeting today was ‘What is the City score?’. You cannot avoid knowing about it. But it isn’t interesting to us.